This is a drive up to cache, parking spaces just a few metres away from cache. Hopefully you will find it a challenge and a little fishy!! Please take care when retrieving cache and be on the look out for MUGGLES - Tip, little fishes are on the sign. Das ist fast ein "DRIVE IN" cache. Parkplatz ist nur einige Meter vom Cache entfernt. Bitte seit vorsichtig beim Heben des Caches, es sind viele Muggles am Versteckort. This is a purpose built resort with a 'man made' beach, which is ideal for all water sports with safe bathing in the sea. Thanks to Waltraud and to 'ettt' for the German translation. and Pta Skeleton (GCQYKX) a very intresting cache site. 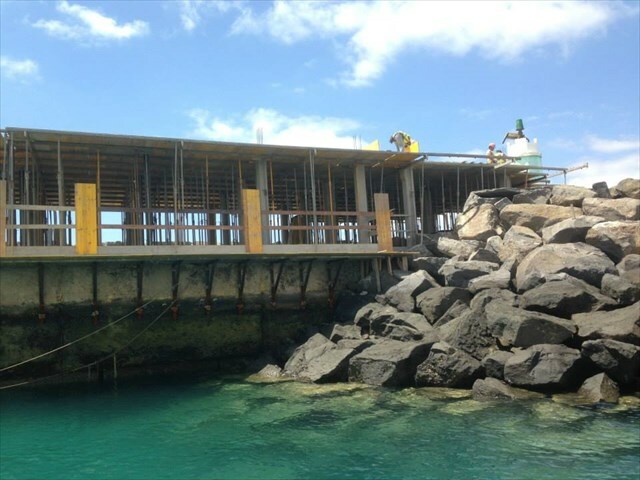 1, Playa Blanca (between Puerto del Rosario and the airport). 3, Tindaya (If you can find it). 4, The Lagoons in El Cotillo. 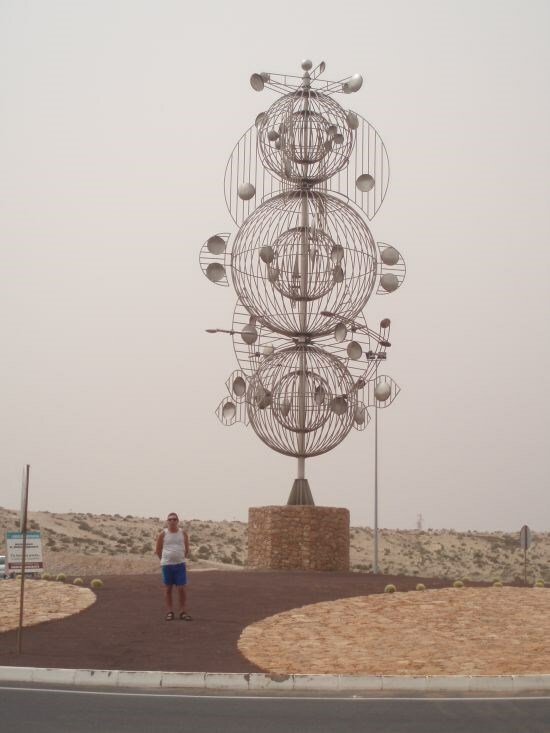 5, Sotavento (just passed Costa Calma). 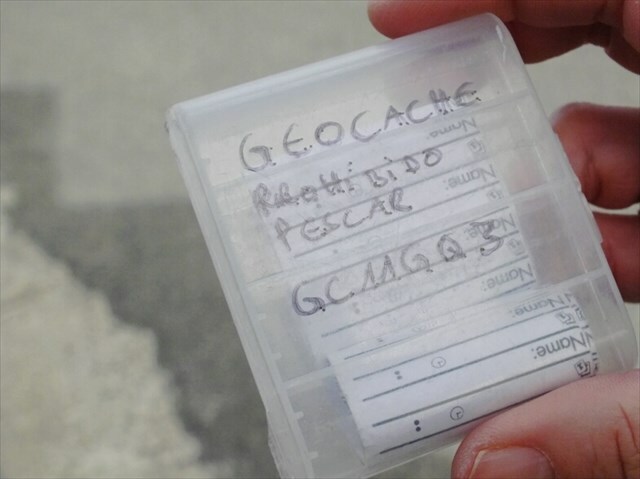 If you are really struggling to find this cache, e-mail or phone +447885582424, Mike. Hier gibt es einen künstlich angelegten Strand, der ein sicheres baden im Meer und allerlei Möglichkeiten an Wassersport bietet. Danke an Waltraud und danke auch an "ettt" aus Österreich für die deutsche Übersetzung. Andere nahe Caches: El Castillo (GCZ7JG) und PTA Skeleton (GCQYKX) - ein wirklich interessanter Cachort. On the 17/6/07 gazooks a UK cacher kindly replace the orginal muggled cache for a new one. A BIG thank you to globus for placing a new cache due to the old one being muggled . On On to the cache. A BIG thank you to redminimyrtle for placing a new cache due to the lid disappearing. 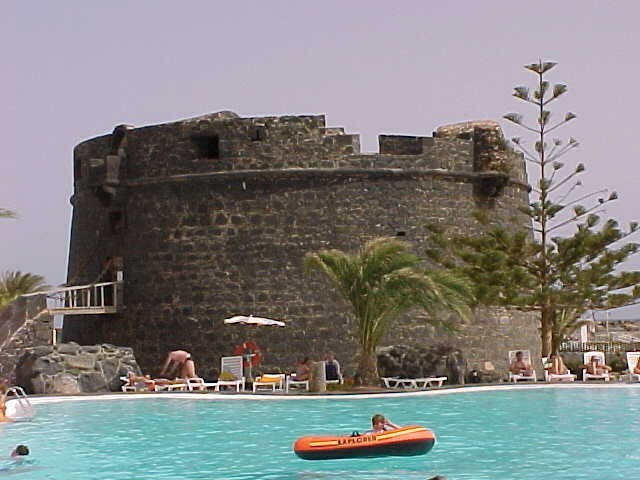 Castillo de Caleta De Fusta. Castillo de Caleta De Fusta.At night. One of the many decorated islands.